What’s new in the world of Chabots, AI and Co? A good way to keep up with the current trends and developments is to attend a conference. This conference is addressed to marketers and e-commerce managers. 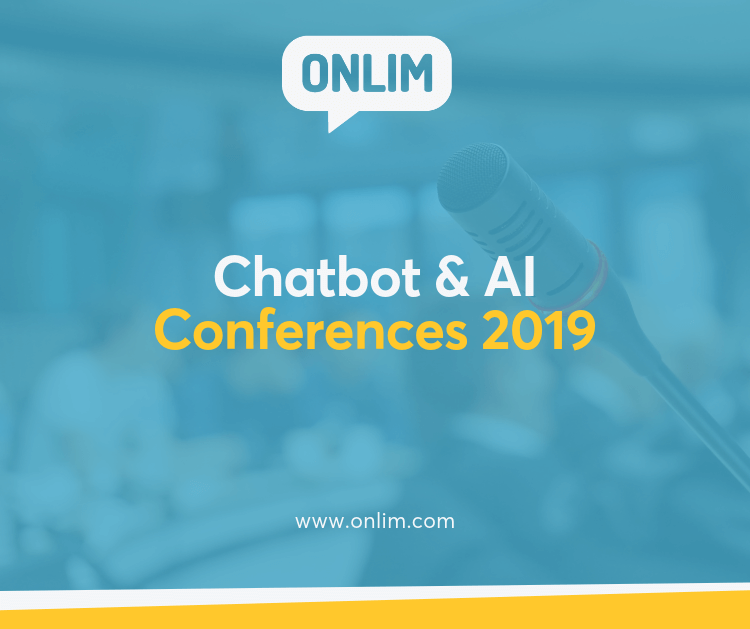 The conference attempts to shed some light on questions such as “Can AI technologies drive marketing automation?” or “What are the benefits of AI for the advertising industry?”. Website: The website of the AI ​​Masters can be found here. This conference offers a broad range of topics and covers both insights into scientific research projects and examples of commercial use cases. Website: The website of Machine Learning Prague can be found here. The Gartner Data & Analytics Summit 2019 gives a good overview of how a data-driven future can look like. The sessions give tips on how to establish a data-driven corporate culture, how to create the right foundation for privacy and security and how to set up a data analytics strategy. Website: You can find the website of the Gartner Data & Analytics Summit 2019 here. This conference offers interesting lectures for managers of Northern European companies as well as for managers of other countries. One of the four tracks deals exclusively with challenges for Northern European countries and possible solutions. The other three tracks have the following topics: Development of robotic process automation (RPA), advanced RPA, Cognitive Automation and AI. Website: You can find the website of Intelligent Automation Nordics here. It’s the first time that this one-day event will take place and it’s all about Artificial Intelligence in marketing. It’s targeted at practitioners and leaders seeking to drive the next frontier of digital marketing transformation within their organizations. Website: The website of the AI ​in Marketing Conference can be found here. If you want to find out about the latest trends in Big Data and AI, you should visit the AI ​​Expo. With 24 different tracks and over 500 speakers, this conference offers a wide variety of topics to help you get a good overview of current industry trends. Website: The website of the AI ​​Expo can be found here. For the fifth time already, the conference Rise of AI invites to Berlin to discuss current developments in the AI ​​industry. The program offers topics such as the future of AI or how it can be applied in combination with open discussion. Website: The website of the Rise of AI can be found here. This event focuses on the effects of AI on economy, government and society. In addition, questions are answered on how to get from experiment to implementation and which ethical questions should be considered. Website: You can find the CogX 2019 website here. The AI ​​Summit in London has a whole clear focus on use cases for businesses. The subtitle of the conference “AI means Business” reflects the program. The two days of the summit have different emphases. On June 12, topics around Sales, Marketing & CX as well as Quantum Computing will be discussed. On June 13, it will be about Financial Services, Health & Pharma trends. Website: The website of the AI ​​Summit can be found here. The RAAIS is aimed primarily at entrepreneurs and researchers who want to use the science and application of AI technologies for the common good. It is taking place for the fifth time already. Website: The website of the RAAIS can be found here. The AI ​​Conference brings the AI ​​community together to discuss issues and developments in the industry. Both programmers and designers as well as product managers and entrepreneurs are invited to participate in this discussion. Website: The website of the Artificial Intelligence Conference can be found here. For all those who are especially interested in chatbots and voice assistants, the Chatbot Summit is the perfect event. The agenda for 2019 is not fixed yet, but the topics from last year already increase the anticipation for the event in 2019. Among other things, in 2018 it was about the innovative use of chatbots in the travel industry and the importance of bots to improve customer relations and marketing. Website: You can find the internet presence of the Chatbot Summit here. The exact topics are not published yet, but you can expect a great mix of speakers from science and business as well as numerous tech workshops and coding classes. Website: The website of the World Summits AI can be found here. The Minds Mastering Machines deals with scenarios about how a smarter future can look like. The event organizer promises to illuminate the topic beyond the hype and to point out the latest tools, processes and pitfalls that should be known for the implementation of your own projects. In addition, the effects of these technologies on society and the corporate world are examined. Website: You can find the internet presence of the Minds Mastering Machines here.